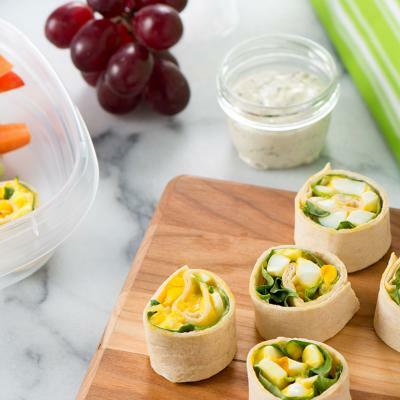 Ready in minutes, this nutritious wrap is perfect for an easy lunch, or an on-the-go breakfast! Whisk eggs with salt and pepper. In non-stick skillet, heat oil over medium heat; cook garlic and hot pepper flakes until fragrant, approximately 1 minute. Stir in kale; cook until starting to wilt, approximately 2 or 3 minutes. Reduce heat to medium-low; pour in egg mixture. 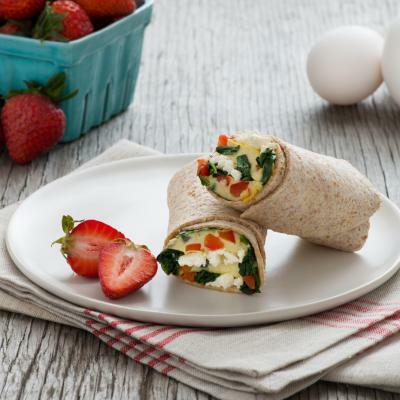 Cook, stirring, until eggs are creamy and softly set, approximately 5 to 8 minutes. On work surface, arrange tortillas. Spread hummus down along centre of each tortilla, leaving small border on either end. 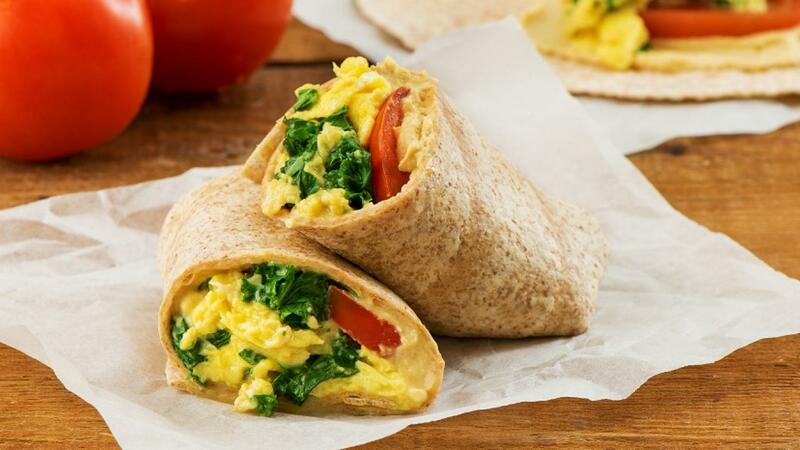 Top with tomatoes and scrambled egg mixture. 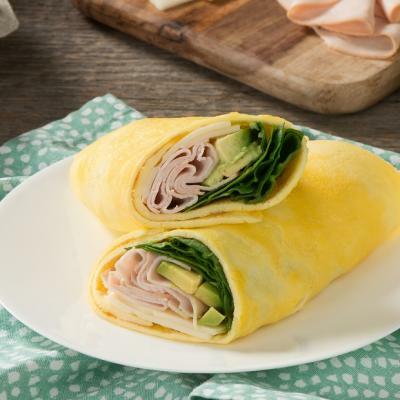 Fold up bottom of tortilla over the filling, then fold in sides and roll up tightly. For a gluten-free option, serve in corn tortillas. If you like, substitute 1/4 tsp (1 mL) paprika for hot pepper flakes, or omit entirely. Use a flavoured hummus if you like.